A few weeks ago I had the privilege of attending a traditional Japanese tea ceremony at a Zen Center in the Bay Area. It was one of those days when spring felt imminent—no longer a distant dream. The tea house at Green Gulch was a sacred site in many ways. 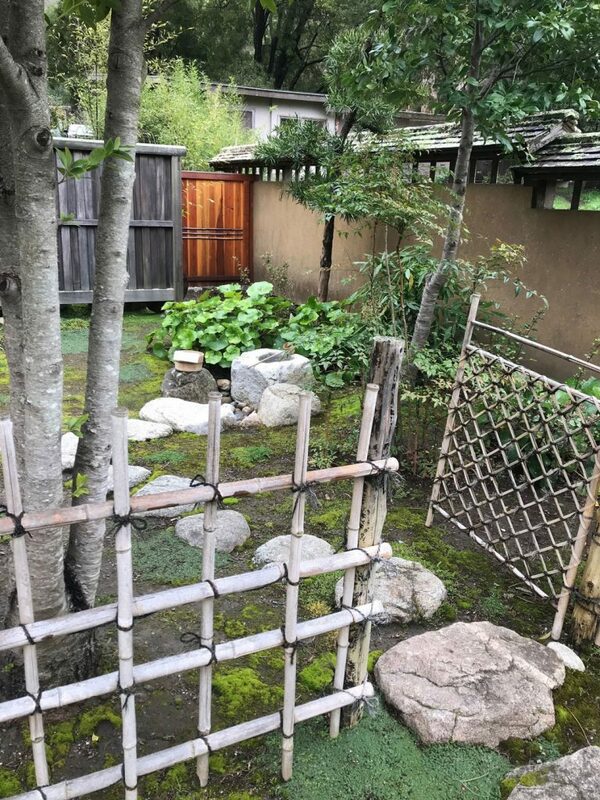 Set off from the rest of the property, the building and its surrounding garden were a tranquil respite, maintained impeccably; entering the tea house required intentionality and following certain rites, such as the washing of hands and kneeling to take off shoes before entering. Once inside the tea house, I and the other nine guests were asked to take in the immediate environment, to observe the details and beauty of that which surrounded us. The thatched roof, tatami mat floor, textured walls (made from clay and straw), and aroma of the interior—cedar, used to heat the water—were some of the first things I noticed and appreciated. As the tea was made, served, and consumed, the ceremony was replete with actions and gestures grounded in gratitude. As the ceremony progressed, the importance of tools became clear. Generally, different utensils are used for different occasions and seasons. For example, at this tea ceremony in early spring, the kettle hung from the ceiling while in other seasons it would be lower, below the floor. Other utensils included a water jar, water scoop, tea scoop, and whisk—each carefully selected for their express purpose. One of the most important components of the Japanese tea ceremony, water jars hold fresh water for the making of matcha green tea. This water jar, or mizusashi, in SAM’s collection, with a black lacquer lid is beautifully decorated with stalks of blue bamboo—a subtle but striking illustration. The piece is by Eiraku Myōzen, one of only a few female ceramicists who were able to have a successful career in early 20th-century Japan. 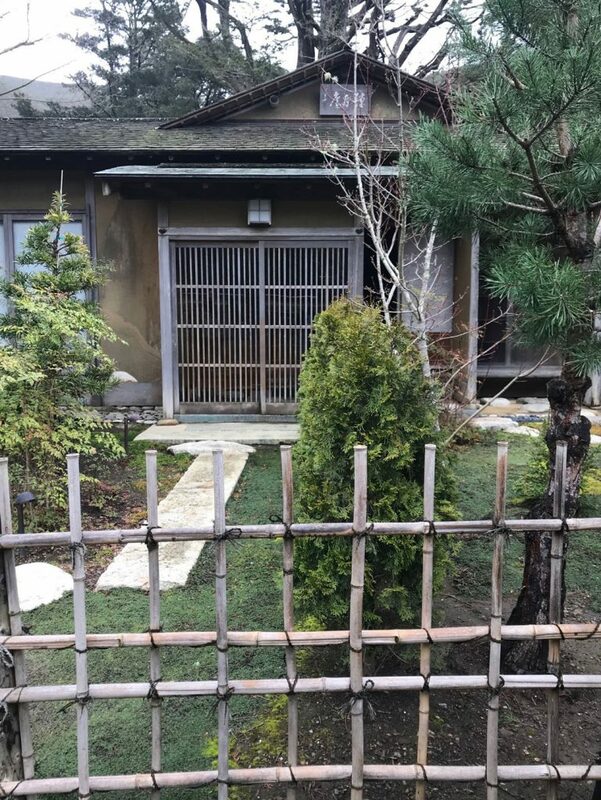 After Myōzen’s husband—also an artist—passed away, she took his place leading the Eiraku workshop in Kyoto, one of the leading manufacturers of ceramics in the region. While this new acquisition will not be used in the tea ceremonies at SAM, tea ceremony demonstrations—or chado, “the way of tea”—take place on third Thursdays at 5:30 pm and third Sundays at 2:30 pm. I have a feeling it will change the way you look at and think about everyday—and not-so-everyday—utensils. 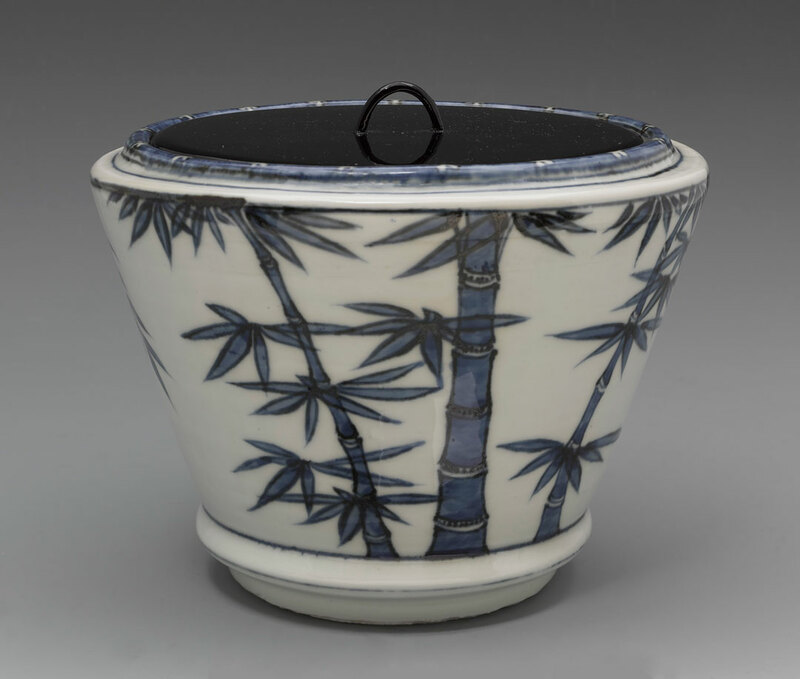 Images: Mizusashi (water jar) with bamboo, early 20th century, Eiraku Myozen, porcelain with blue glaze, 7 7/8 × 7 1/2 × 6 in., Gift of Mary and Cheney Cowles, 2018.2. Photos: Elisabeth Smith.